We told you he’d enjoyed a good start to the season! Alberto Moreno is so far the highest rated left-back in the Champions League, based on statistical calculations three games in. This is including Real Madrid’s phenomenal fullback Marcelo and Bayern Munich”s equally world-class David Alaba. 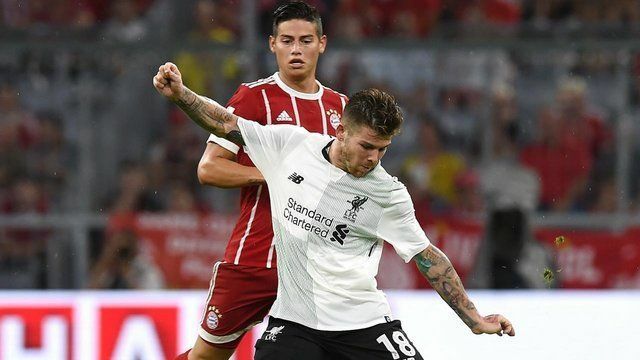 Obviously Moreno isn’t in the same league as this particular pair, but he deserves credit for his level of performance, especially in Europe. Against Maribor, he bombed down the left flank and got an assist, defending feistily in the process. Many fans are still very much against his consistent inclusion, especially with Andrew Robertson waiting in the wings – but it’s time to judge Moreno on his contributions THIS season and not mistakes of the past. Jurgen Klopp has always said that with time on the training ground he can improve players and it looks like it’s happening with the Spaniard. Sometimes Moreno is positionally naive and misjudges headers, but his attitude is top notch and his offensive relationship with Coutinho very good too. We urge any Liverpool fans who are still doubters to get behind Albie. He could be about to perform Lucas levels of resurrection.